“Not a single higher education institute in India figures amongst the Top 200 institutes of the World”. What the President is missed out is that India does have world class institutions within its fold, if we treat all IITs as one unit as the University of California does of all its campuses. 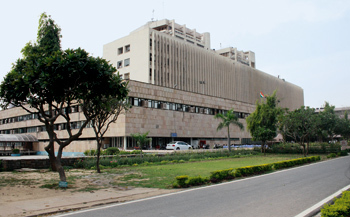 Though the IIT system comprises 16 IITs, the top seven, namely Bombay, Delhi, Guwahati, Kanpur, Khargpur, Madras and Roorkee, if combined as a single unit, can excel in global sweepstakes. What it takes to be the global best? The table alongside explains the scoring pattern of the three reputed global rankings. As we could see, in the Times Higher Education Ranking 2013 (we used it to compare institutions), reputation counts for 18%, citation for 30% and learning is 15%, thus accounting for nearly 63% of the total scores. And other 10 parameters account for the rest. We looked at the aggregate data globally of top universities and compared the same with that of the IITs. And the outcomes surprised us. World class universities cost money (See Table 1). Great universities, especially the Top 10 or 20 do have enviable track record, long history and, of course, huge budgets. Harvard’s annual operating expenses at USD 4,042 million dollars (Rs. 25,246 crores) is 15% more than the India’s entire higher education outlay of Rs. 21912 crores. But even within the Top 20 there are universities that have smaller budgets. For example, Imperial College at 10 has a budget of just USD 1.1 billion while the seven IITs put together have a budget of about USD 0.4 billion. Research output is the best means of gaining reputation. If one looks at academic output globally, IIT system is comparable to the best. Take the top 100, (see illustrative Table alongside) IITs as a system are reasonably well placed, though the score is relatively less. But given their aggregate size, the citation should improve and they could be within the 60 -70 rank. Here, the IIT system would score very well. This section consists of 15% score for teaching and learning survey. With an alumni data base of over 2.31 lakh+ of whom at least 10% would be in academia across the world, IIT system has one of the largest alumni base in the academia. If leveraged properly the teaching and learning score for IITs would figure amongst the top 25 in the world. THE rank looks at two measures. Aggregate PhDs (6%) and PhD to students ratio (2.25%). IIT system performs exceeding well here. Unlike the general media perception, which argues that IITs are good only for undergraduate education, data proves conclusively that IIT system also produced 885 PhDs last year. As Tables 4 & 5 show, while in terms of the number of PhDs the IIT system would rank near 30-40 in the global order, in terms of the ratio of PhDs to UG+PG students, IITs are actually comparable to the Top 20. IITs perform exceeding well here. In most of the ranking this ratio is taken as a proxy for teaching effectiveness and any ratio which is less than 1:15 is considered a good number. IITs with a 1: 12 ratio IITs are actually comparable to the best universities in the world and stands within Top 25 in the pecking order of world Universities. This is one area where the IITs completely lack a presence. Though IIT Bombay claims to have over 43 international faculty (14%) of its total, the IIT system as whole does not even have 1.56% of international faculty, while the global best range from 11- 20%. So IITs would fare quite poorly in terms of faculty and might be placed beyond 100 rank band. The situation on students is much worse. There are negligible numbers of international students. Being a globally recognised brand, with very little tweaking, IITs could easily get around 15% of their total cohort from international market and that would do wonders to the learning ambience at the institute as well as let the school score well. We must remember that peer learning improves dramatically with international diversity. Admission of international students in government-funded universities must not be looked at with myopic lens of parochialism. In absolute numbers IITs may not be a match to global players. However, as a ratio to annual income, the percentage varies between 41% for IIT Madras to less than 10% for IIT Guwahati. So the mean would be around 20- 25% of income from industry, which would place IITs in the lower order ranking of 60s or 70s. We might stand corrected here as there is no comparable data available for the institutions beyond the Top 20 schools in the THE ranking. With an 18% weightage this is one domain where IITs are yet to make a dent. We know that in terms of the number of publications, IITs actually count amongst the worlds Top 50 paper producing universities. But unfortunately the number of international collaborative papers is very less at the IITs. The institutions have become completely insular and to some extent self sufficient. This also reflects on the international orientations score. IITs must motivate and incentivise their faculty to collaborate more with international faculty on research publications. In fact the higher citation score that has propelled Panjab University into national consciousness is due to the University researcher’s participation in the multinational Large Haldron collider project and the corresponding citation spin offs thereof. Where does the IIT system finally stand? In sum, if we take all the parameters together, IIT system as a whole does have a fair chance of reaching a 61st rank positions in any credible global ranking, with a little tweaking to their approach and structure as the Table below shows. We do have a world class system in the country. Will we let it wilt as individual flowers or will we knit them together as a powerful academic system, setting benchmarks for rest of the country?